This 920 sq. ft. two-bedroom condo has a 750 sq. ft. patio that, with a little imagination, could take your breath away! 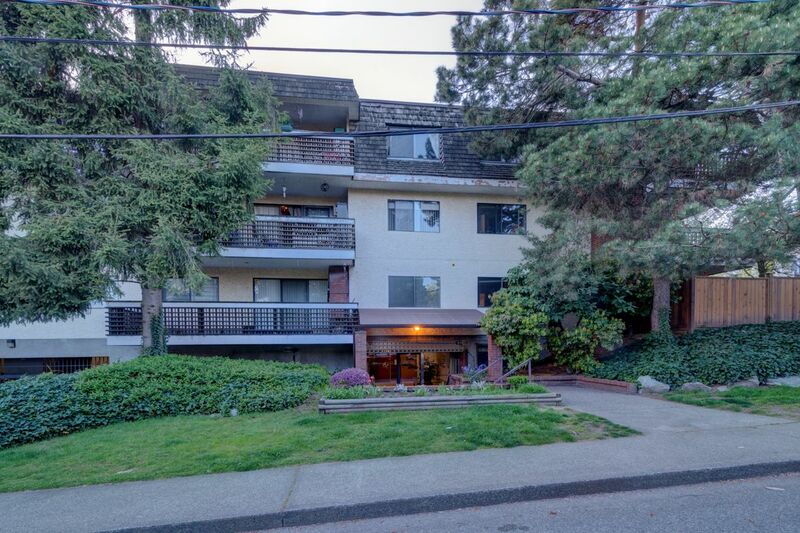 This solidly built, older, 1977 garden apartment is perfect for the pet lover. Bring your paint brush and ideas to this spacious unit. A cheater ensuite washroom with a satellite bedroom layout. A cozy feature gas fire place and mantel. You could entertain the entire building on this completely secure and private patio paradise. Separate entrance off 7th street steps onto your private patio. 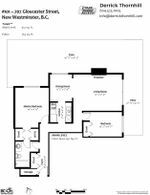 Walking distance from skytrain, shopping, Douglas College, restaurants and pubs.